As a quality brand, CASO stands for sustainable, appreciative and creative handling of our food. 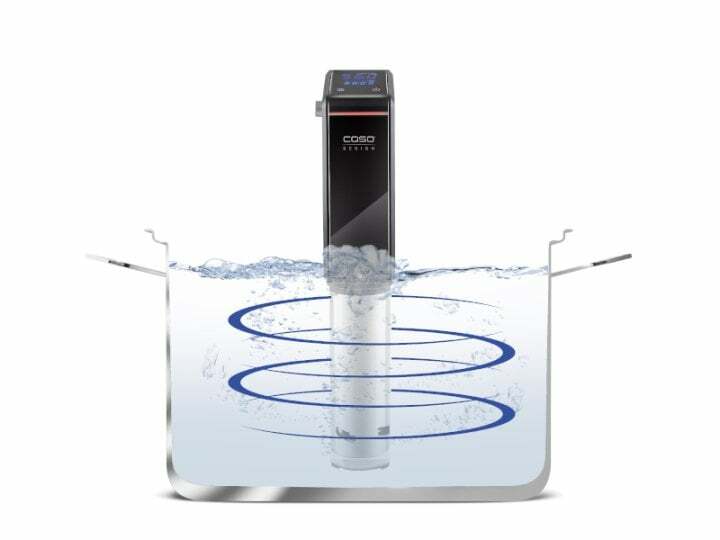 Using the new CASO DESIGN vacuum technology you can always enjoy your food fresh and in five-star quality. Discover the advantages of the innovative systems that offer many possibilities of redefining enjoyment and freshness in various designs. Cook & tear resistant ribbed bags and rollers provide a perfect vacuum. They are available in different sizes. The bag is suitable for microwaves and ideal for sous vide dishes. 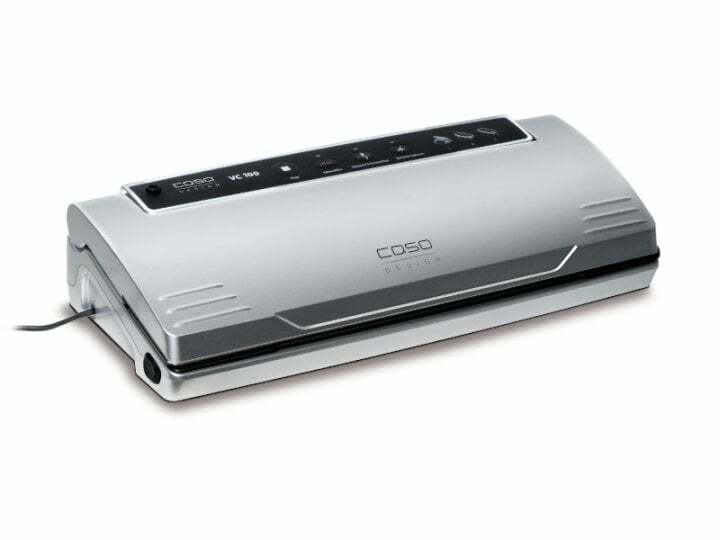 The CASO vacuum systems seal the product perfectly and in an absolutely airtight manner with two welded seams. The welding time can be additionally controlled by a function and facilitates the processing of different films (coffee, chip bags, etc.). Larger bags can be processed by means of cross-welding. The future of cooking melts in your mouth. SousVide - "cooking under a vacuum" is becoming more and more popular even with amateur cooks in private households. The advantages are obvious: When cooking in a vacuum, the natural taste of the food is preserved, the flesh is tender and juicy, nutrients, vitamins and trace elements are not lost and vegetables remain crisp and retain their intense colours. This preparation of a SousVide dish is very simple. Prior knowledge of using it is not necessary to achieve perfect results. The actual dish is put together during the filling of the bag. In this process all the basic ingredients are sealed together with oil, spices and vegetables in a vacuum bag and then cooked completely automatically in water at low temperatures. Marinating and seasoning before the vacuuming process also produces better results. 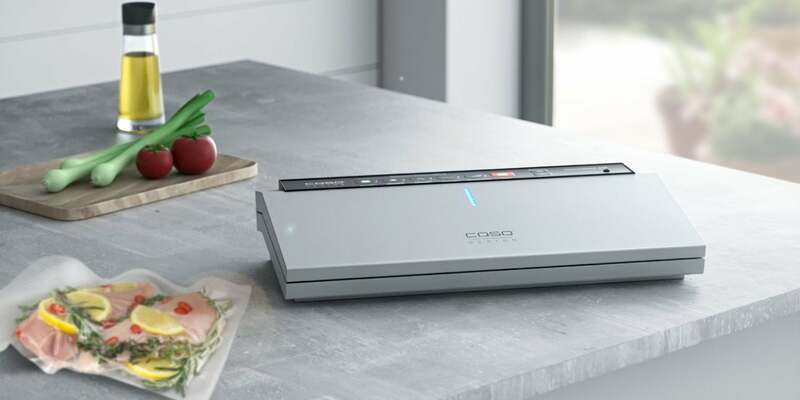 In order to use SousVide in the kitchen, you need a vacuum sealer and a cooking device that maintains a constant temperature during cooking. The quality of the vacuum films is particularly important to ensure that everything stays fresh and sealed for a long time. The special CASO vacuum film are designed to ensure an optimal and uniform vacuum with a fine ribbed structure. The material is boil and tear proof and can be used as a SousVide or freezer bag. 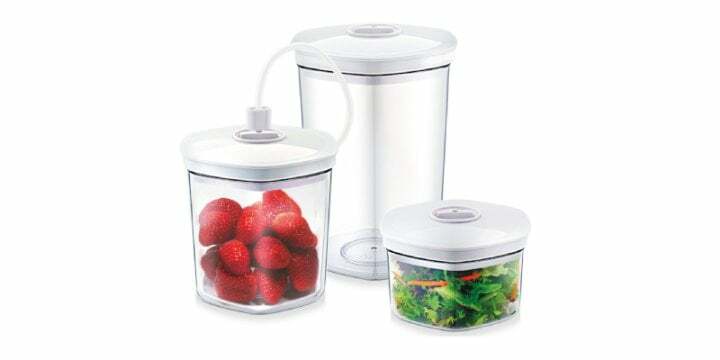 Ideal for long freshness or long storage.